Second was the blower, it was surprising that a large proportion of people said they used hair dryers set on cold, for example Babyliss Turbo 2000. 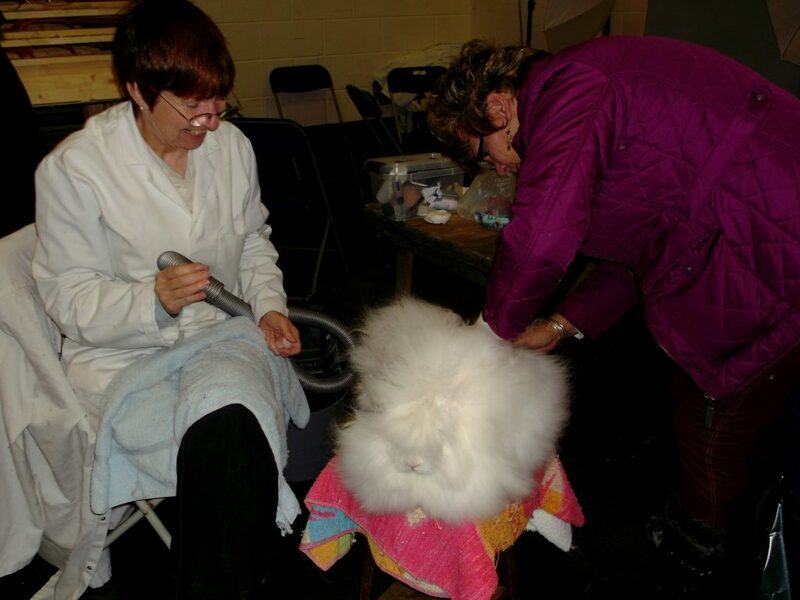 One top exhibitor warned against using the blower too much. The vacuum’s named were mainly Hoover,lots of different models, though occasionally the name may have been used in a generic way. Brushes – almost everyone mentioned Mason & Pearson, specifying the small nylon bristle type. 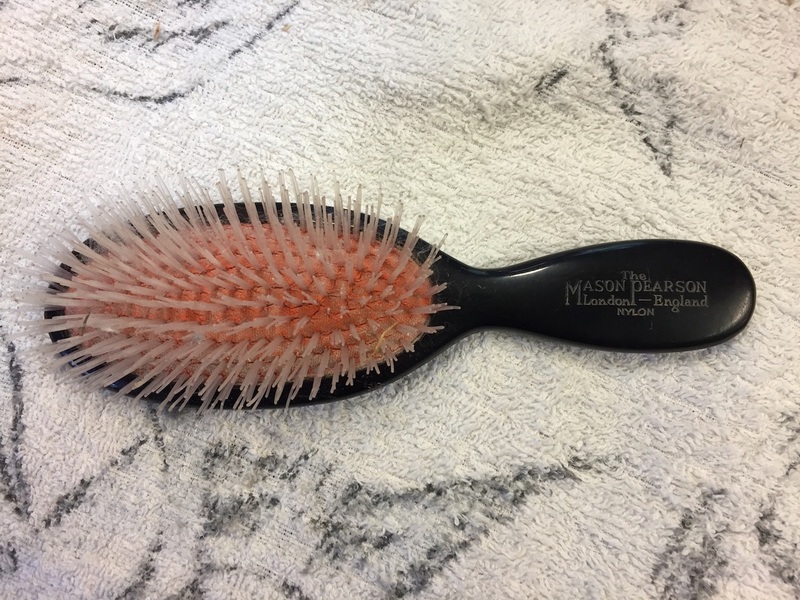 One lady found a Kent hairbrush for less than half the price of a Mason Pearson brush at Boots. 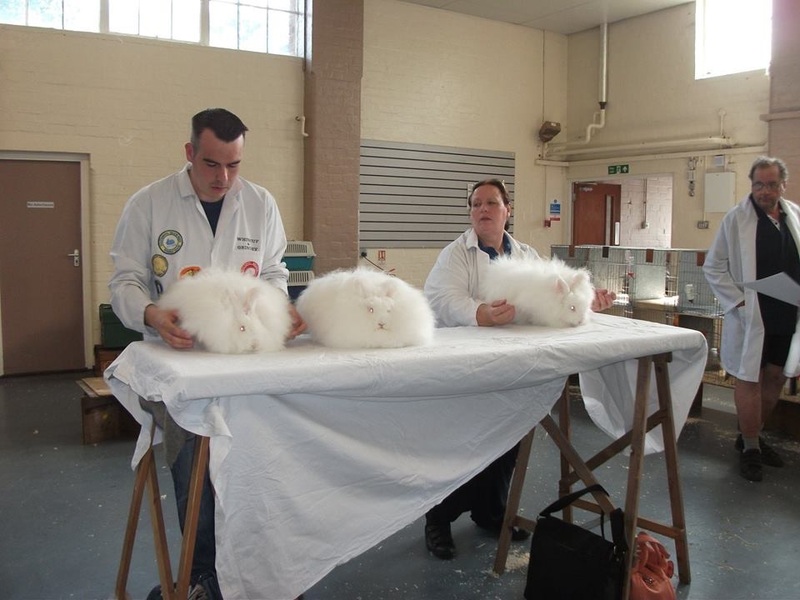 The use of this type of brush depended on whether the rabbit was to be shown, in which case, unders only were groomed using the brush, except on a show day. If they were kept for wool, the brush could be used all over. 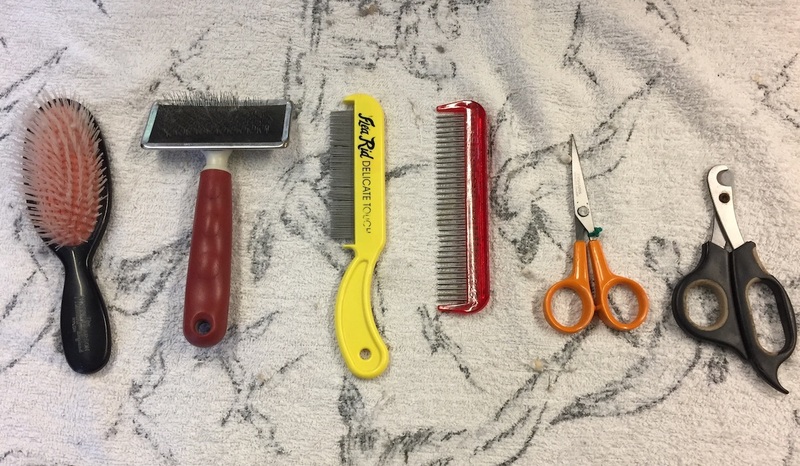 It was interesting that combs were specified more often than the brush, for example a Nit comb for tidying the tail end as well as the back of the neck. A comb with swivel teeth (from America – there’s posh! 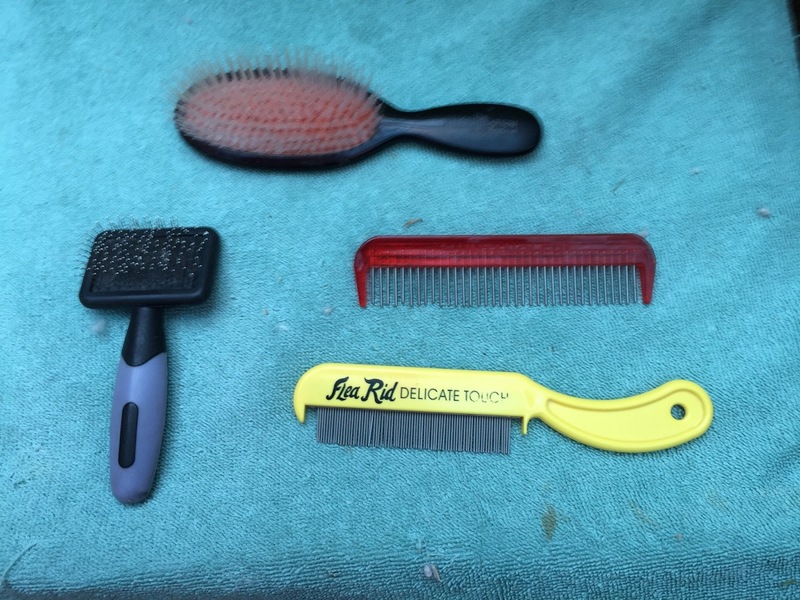 ), a dog comb for feet and back of neck and dog flee comb for furnishing etc. Now, on to the powders. How many have you tried? Chalk, powder and block. 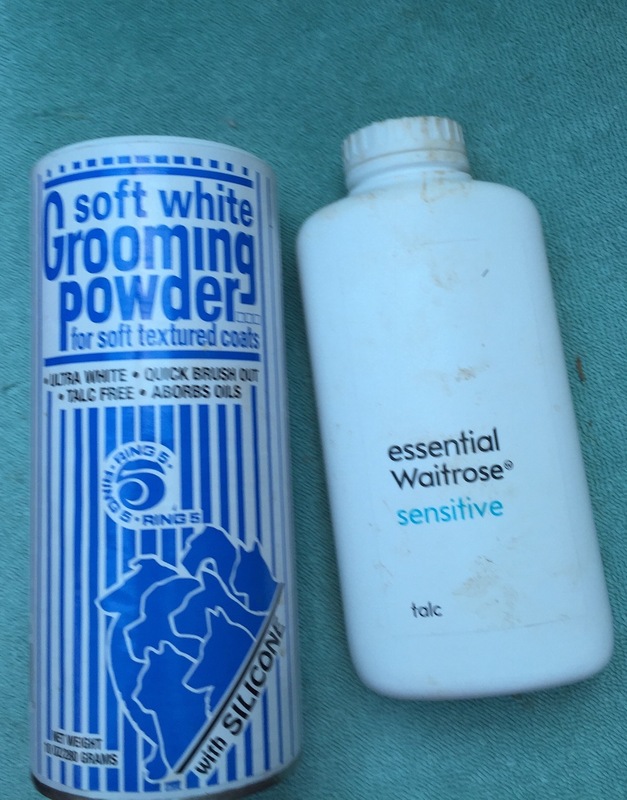 Magnesium carbonate, Johnson’s baby Powder (perhaps reducing the tangles at the back of the neck). Cornflower (for lifting damp stains). And Batiste dry shampoo. A recipe for whitening stains on white rabbits suggested 40% peroxide mixed to paste with white chalk powder, or Johnson’s Baby Powder. It seems that cheap talcs are not suitable. It might be less drastic to try LOC (liquid Organic Cleaner), this I am assured, gives no taint and doesn’t dry the wool and is safe. Of course, if you have a problem with mites, all this grooming will be a struggle, so here are the most popular suggestions for dealing with them. Ivomec, Nuvan Top, Sherley’s Flea shampoo and my own favourite for plucked rabbits, Tea Tree Shampoo for dogs and cats. If you have a long term and severe problem, a visit to the vet might be necessary. 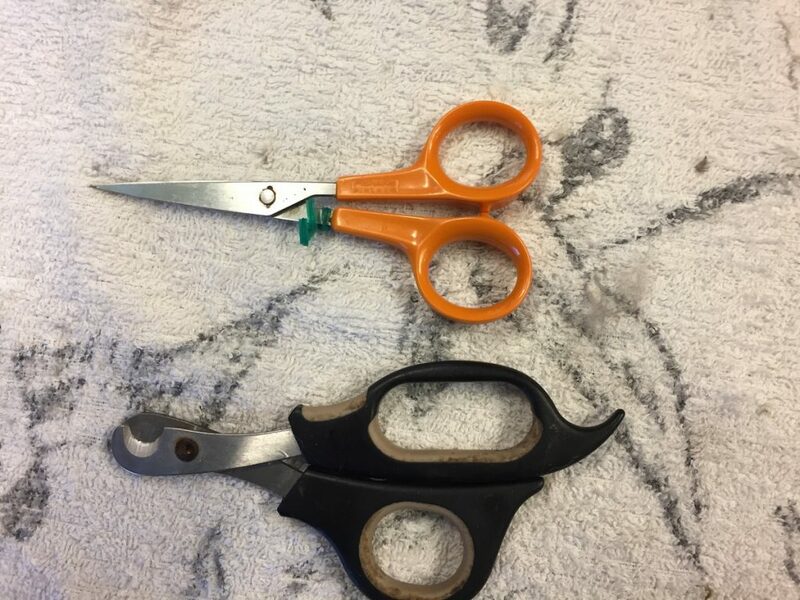 Some people offer allied suggestions, such as a particular scissor (Boots manicure), electric clippers (they don’t work very well), Kitty Malt for furballs (to keep them away, obtained from pet shops) and biscuit tins to store the wool. 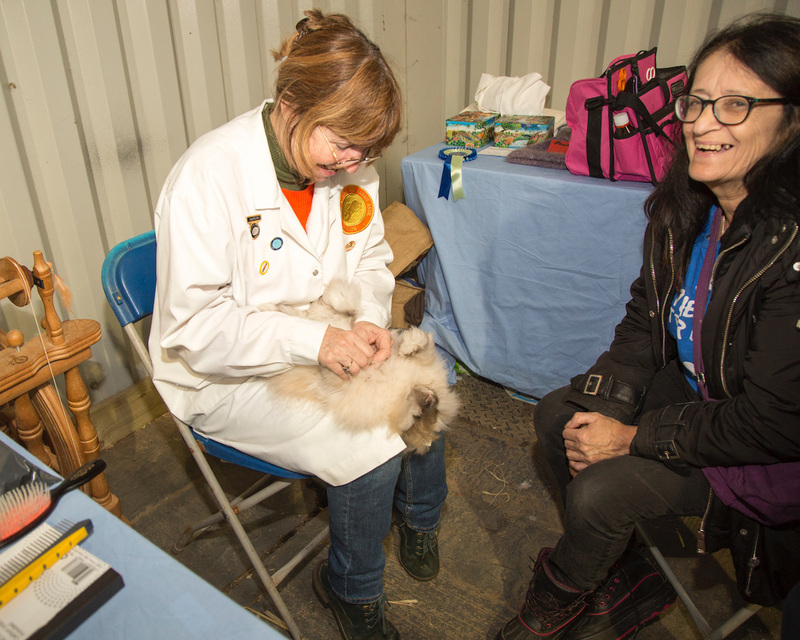 It was interesting to hear how the aid of a fellow member was put forward as an important support and I am sure that if it wasn’t for the Club Members encouraging each other in this most challenging of breeds, there would be very few Angoras about. Well, I have learned something about grooming, and probably more about why I have never been very good at it! So many thanks to all those who responded to my questions, whether in person,or by mail, and in particular to Patsy Hirstwood for kindly replying to my letter. What an enjoyable way to write for the Year Book. Now I’m wondering what can be done for the next copy. 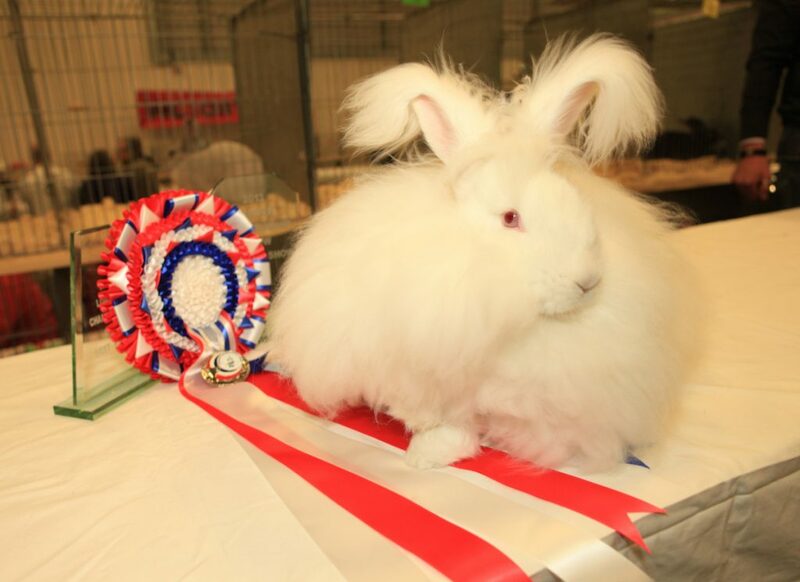 Posted 15/01/2019 by SM & filed under Angora Welfare, Rabbit Shows.